I invited Jenny Finke, health and nutrition coach, to talk with us about foods that are naturally gluten-free and foods that are important for people with gluten sensitivity or celiac disease to eat. Jenny Finke was diagnosed with celiac disease in 2012 and has been gluten-free ever since. She helps people start and find success in their gluten-free journey through her signature Go Gluten Free Jumpstart Program and her nutrition and health counselling. Without further ado, here’s Jenny. 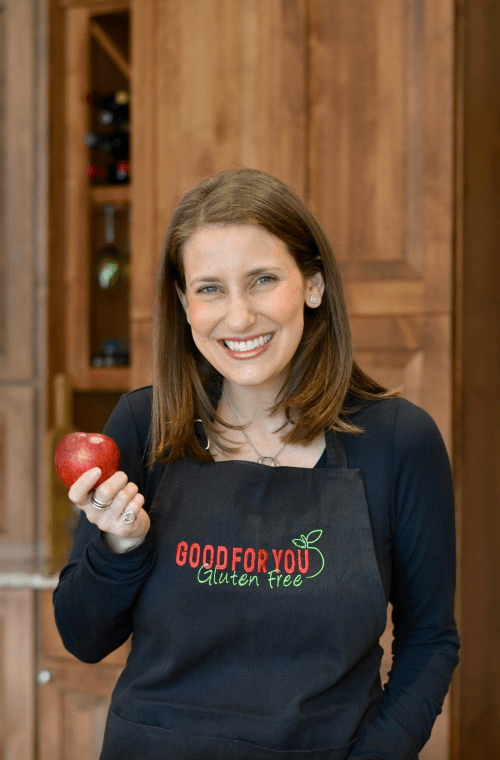 I’m Jenny Finke, a certified health and nutrition coach and author of the blog, Good For You Gluten Free. Today I want to share with you 10 naturally gluten-free foods that promote good health. Before I do that, let’s get real. You and I both know that being gluten-free doesn’t automatically mean you’re healthy. In fact, it might mean you’re quite unhealthy if you’re subbing gluten-free bread for regular bread, or gluten-free cookies for regular cookies. Sugar, for example, is gluten-free… but we all know that sugar is far from good for you! Don’t misunderstand me. For many people, taking gluten out of their diets is a must. For example, someone with celiac disease must take out gluten – a protein found in wheat, rye and barley – from his or her diet. For others, gluten, might be extremely difficult to digest. Many people who suffer from poor digestion, IBS or leaky gut choose to take gluten out of their diets in order to turn around their health. But just as important as taking the gluten out, so is making sure you’re putting good stuff back in. 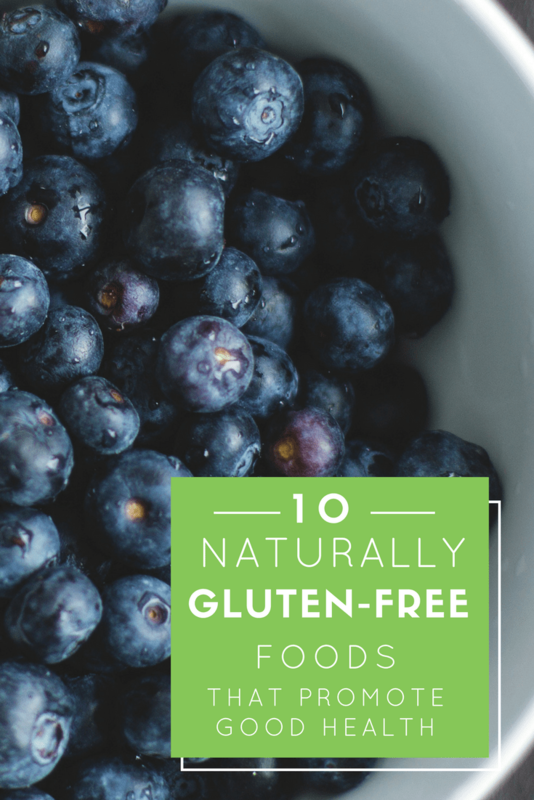 With that said, let’s talk about 10 naturally gluten-free foods that you should incorporate into your gluten-free diet in order to promote good health! Vegetables are essential for good nutrition. If you’re following a gluten-free diet, you need to load up on nature’s finest food to help accelerate healing from the inside out. 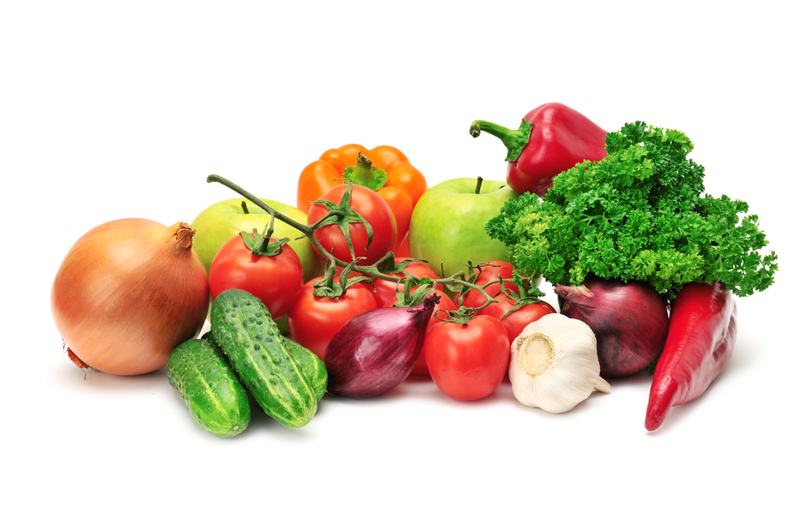 Vegetables contain a variety of vitamins and minerals that your body needs to be healthy. Green leafy vegetables, in particular, are loaded with phytochemicals that help squash free radicals and keep disease away. Load half your plate with vegetables at every meal or juice your vegetables for a quick intake of nutrients. Proteins are the building blocks of the cells and tissues in your body. When consuming animal protein, make sure you’re choosing quality above all else. A cow raised on the pasture is soaking in the sun and grazing on grass. It is going to produce meat with more nutrients, like Vitamin D, than a cow raised in a crowded factory farm that is fed corn and other cheap grains. Look for grass fed beef and organic, pasture-raised chickens and eggs, all which are naturally gluten-free. Omega-3 fatty acids are essential to one’s health, yet 99% of Americans are deficient in these crucial fats. Omega-3s have been proven to reduce chronic inflammation, help build healthy cell walls, and improve brain function (our brains are made of 60% fat and need fat to function!). Load up on fatty fish like wild caught salmon, sardines and shellfish. Supplement with a high quality fish oil to ensure you’re getting a good daily dose of omega-3s. Avocados are not only filled with those essential omega-3 fatty acids, but also they contain folic acid, calcium, iron, magnesium and other essential nutrients. Many gluten-free dieters suffer from constipation or other digestive distress. Avocados are fiber-rich and can aid in digestion and proper elimination. There are plenty of gluten-free whole grains like brown rice, wild rice, quinoa, millet and buckwheat that you can enjoy in moderation. Just remember to eat whole grains with the bran and germ intact. Avoid processed grains like white rice, which are stripped of the bran and germ. Avoid white starches like corn and tapioca starch, which are found in plethora in gluten-free packaged foods. Fresh fruits are perfect for helping you stay healthy. Look for fruits with deep colors, like blueberries, strawberries and blackberries, because they pack the most antioxidant punch. Antioxidants protect us against cancer, high blood pressure, and inflammation by gobbling up those free radicals. This is especially important for anyone suffering from celiac disease or leaky gut where food particles have permeated your intestinal lining, leaked into your blood stream, and created inflammation throughout your body. Both nuts and seeds contain healthy fats, minerals, and antioxidants galore. They are good for your heart health, can help you maintain a healthy weight and prevent diseases like diabetes. Seeds are also abundant in trace minerals. Flax, chia and hemp seeks are extremely rich sources of omega-3 fats, and sesame seeds have the highest amount of calcium of any food in the world! All these essential nutrients will ensure you optimize your gluten-free diet. Put good stuff in, get healthy stuff out! Beans are a great non-animal source of protein. They are slowly digested, satiating you longer between meals and preventing cravings. The high fiber content also promotes good all around digestion, perfect for anyone suffering from digestive distress. Just be sure to soak your beans 8-12 hours before cooking them to help the beans become more easily digestible. Onions, along with garlic, prevent the development of cancers by detoxifying carcinogens and blocking and/or slowing cancer cell growth. Oh, and they’re sweet to eat and naturally gluten-free too! Load up on onions to boost your cardiovascular and immune system functions. Dark chocolate (70% cacao or higher) is filled with powerful antioxidants and healthy fats. In moderation, dark chocolate makes an excellent dessert and one I recommend to satisfy your sweet tooth. Choose dark chocolate that is fair-trade certified and ensure it’s certified gluten-free too. There you have it… ten naturally gluten-free foods will take your health to the next level. Remember, what you take out (gluten) is just as important as what you put back in. Load up on healthy, naturally gluten-free foods and watch your chronic ailments subside and a new healthy you emerge. Jenny Finke is a certified health and nutrition coach in Denver, Colorado specializing in helping people transition to a healthy, gluten-free diet. She also works with anyone overcoming chronic pain, illnesses and disease through diet and lifestyle changes. She blogs about celiac disease and her gluten-free lifestyle at Good For You Gluten Free. You can find Jenny online at Good For You Gluten Free or on Facebook, Pinterest, Instagram and Twitter. Thank you, Jenny Finke, for helping us understand what a healthy gluten-free diet is. As you mentioned, gluten-free doesn’t always mean healthy. Including in our diet more gluten-free whole foods and fewer gluten-free processed foods, improves our diet and we become healthier overall. Do you have any questions for Jenny? Do you have a health problem that requires you to eat less (or stop eating) gluten? Are you considering eating less foods rich in gluten? Eating healthier is one of my new year’s resolutions, and I’ve been trying to incorporate more of these foods into my diet. Yes finding sustainable fish can be challenging if you’re not near a natural grocery store. There are some canned options from Wild Planet and you can order a good fish oil supplement online. Cheers to good health Rachel! I have been transitioning to gluten free but often feel I’m not taking in enough carbs! Hi Shaquita – It’s Jenny from Good For You Gluten Free. I encourage you to experiment with a variety of gluten-free whole grains like brown rice, quinoa, buckwheat and millet. All are satisfying grains. Beans and vegetables are also complex carbohydrates and can help you feel full and maintain your blood sugar levels. We’ve been eating a lot more fish lately! That’s great to hear Jasmine. So good for you!! Salmon and Mahi Mahi can join my dinner table any day. Great post with a lot of good information! Yay Sally. Great to hear! !